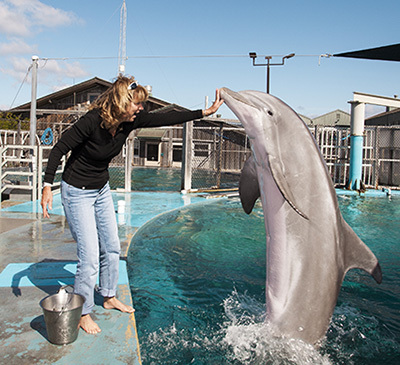 For over 30 years, Terrie Williams has been studying exercise physiology in wild animals: African lions and wild dogs, dolphins and whales, coyotes and mountain lions, as well as a few human athletes. 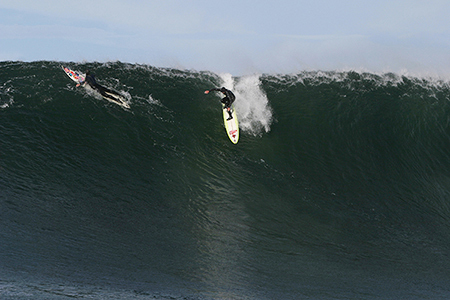 She has put mountain lions on treadmills and strapped heart-rate monitors onto big-wave surfers at Mavericks. These studies have given Williams, a professor of ecology and evolutionary biology at UC Santa Cruz, a unique perspective on exercise and health, which she presents in an article titled "The Healthy Heart: Lessons from Nature's Elite Athletes," published in the September issue of the journal Physiology. 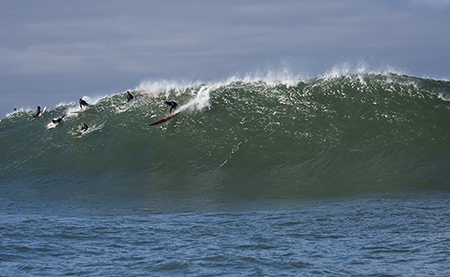 One of the highest prolonged heart-rate levels ever recorded was for a professional big-wave surfer riding the monstrous swells at Mavericks: more than 180 beats per minute for three hours, with peaks of 200 beats per minute during rides. Dogs and cats are opposites in terms of aerobic capacity and maximum heart rate, and humans are more like dogs, adapted for endurance exercise (chasing down prey), while cats are built for the short bursts of speed used in stalk-and-pounce hunting. This difference is reflected in heart size relative to total body mass (larger hearts in dogs and humans, smaller hearts in cats). The hearts of marathon runners are 10 to 33 percent larger than those of more sedentary people. Heart disease is exceedingly rare in wild animals, but it is the leading cause of death in humans worldwide. There are many plausible explanations for this, but one factor stands out above all others: the difference in daily activity levels. "We just don't ask our hearts to do very much on a daily basis," Williams said. The mammalian dive response, automatically triggered by cold water contacting the face, involves an immediate slowing of heart rate and constriction of peripheral blood vessels to maximize blood and oxygen in the core. The mammalian exercise response has the opposite effect, increasing heart rate and metabolism. Thus, marine mammals chasing prey at depth have to balance opposing cardiovascular demands, and Williams found they can experience cardiac arrhythmias during dives. Heart rate can be consciously controlled, and not just by meditating yogis. A California sea lion was trained to lower its heart rate on command while sitting out of water. 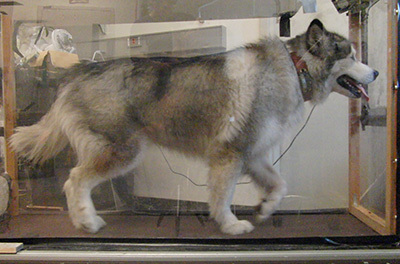 For Williams, the main reason to study exercise physiology in animals is to better understand how much energy they have to expend to live in their environments, and how they might be affected by environmental changes and human activities. Williams is also an athlete herself and has competed in a number of triathlons, so she has always been interested in what humans can learn from nature's elite athletes. "The big difference between wild animals and humans is that they're out there exercising for hours at a time, from the day they're born to the day they die," she said. "My own activity level is pretty pathetic relative to even a lion, and they're not the most active animals. I take a lot out of these lessons from animals in terms of how much and what kinds of exercise I try to do. Mixing it up with both sprints and low-intensity exercise is the secret." Looking at heart rates in humans, Williams has been struck by the influence of psychological factors, as seen most dramatically in the big-wave surfers. Their high prolonged heart rates (90 percent of maximum based on treadmill tests) are induced by adrenaline, not exercise. "Just sitting on the beach before they entered the water caused the heart rates of surfers to reach almost 180 beats per minute," Williams said. The same phenomenon is seen in other thrill-seeking sports. Formula race car drivers and motocross racers have also been found to maintain heart rates at 90 percent of maximum for prolonged periods, though not for as long as the surfers. "The psychological component has tended to be overlooked, but you can really see it in surfers. People do these thrill-seeking sports for the adrenaline rush, and that affects the heart," Williams said. Is it healthy? "They're in amazing shape overall, and I've never heard of any problems from a prolonged high heart rate unless there's a pre-existing condition. But they can be exhausted for a week after battling the big waves," she said. Unlike human surfers, dolphins' heart rates go down when they're riding waves. When Williams was trying to measure heart rates of swimming dolphins, she couldn't keep them from riding her boat's bow wave. "They're not doing it for the thrill; they're just saving energy by taking the easy way out," she said. The discovery of cardiac arrhythmias in deep-diving marine mammals got Williams thinking about the fact that the swimming segment of triathlons accounts for over 90 percent of race day deaths, especially in cold water venues. The combination of high heart rates at the start of the race (Williams said she knows from experience that the adrenaline is flowing as racers charge into the water) and sudden immersion in cold water is an extreme challenge for the heart. It can be overwhelming for people with pre-existing cardiac conditions, she said. In response, the USA Triathlon organization issued new water temperature guidelines in 2013 for sanctioned events. Williams' research is supported by grants from the U.S. Office of Naval Research and the National Science Foundation.